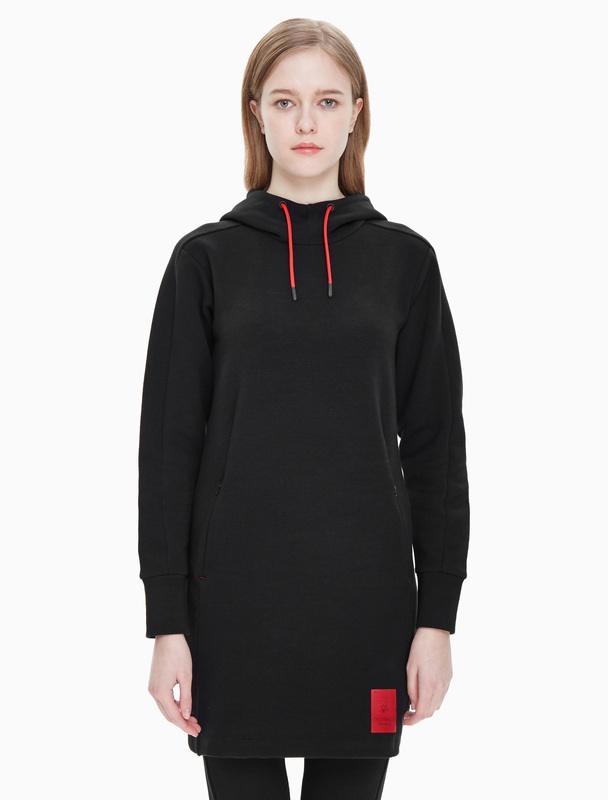 Complete your festive, active look with this empowering sweat dress from Calvin Klein Performance. 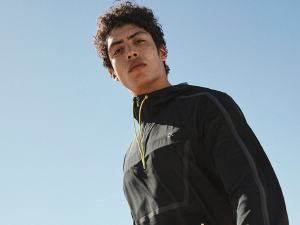 Featuring an overhead hood with an adjustable drawstring, long sleeves and side seam pockets. The dress is finished with a signature logo patch above the hem.